Abraham Lincoln is best known for abolishing slavery and keeping the United States together through the Civil War, but he also helped the country become the scientific and engineering powerhouse we know today. 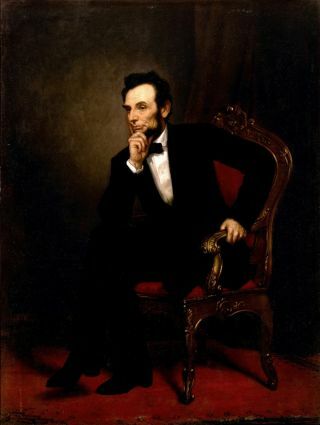 For example, Lincoln signed the Morrill Act in 1862, creating a system of land-grant colleges and universities that revolutionized higher education in the United States, notes famed astrophysicist and science communicator Neil deGrasse Tyson. "Known also as the people's colleges, they were conceived with the idea that they would provide practical knowledge and science in a developing democratic republic," Tyson, the director of the American Museum of Natural History's Hayden Planetarium in New York City, writes in an editorial that appeared online today (Nov. 19) in the journal Science. Notable land-grant institutions include the Massachusetts Institute of Technology, Cornell University, the University of Florida, The Ohio State University, the University of Arizona and the schools in the vast University of California system. Lincoln, the 16th president of the United States, also chartered the National Academy of Sciences (NAS) in 1863, establishing the august body that advises Congress and the president about science and technology matters to this day, Tyson observes. Tyson ends his brief editorial by reproducing the full 272-word text of a speech he wrote in 2013 in response to a request by the Abraham Lincoln Presidential Library Foundation, as a way to help commemorate the 150th anniversary of Lincoln's famous Gettysburg Address (which was also 272 words long). The speech, which Tyson called "The Seedbed," reflects on the importance of the NAS, and of science generally to the United States and its future. "In this, the twenty-first century, innovations in science and technology form the primary engines of economic growth," Tyson's speech reads. "While most remember Honest Abe for war and peace, and slavery and freedom, the time has come to remember him for setting our Nation on a course of scientifically enlightened governance, without which we all may perish from this Earth."